When did government accountability stop making sense? Comments Off on When did government accountability stop making sense? In 2014 Adam will be teaching in Foundations of Law, Law of Torts, Principles of Public Law and Australian Legal History. He has also previously taught Australian Constitutional Law. 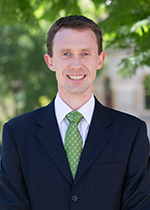 Adam’s research interests include Australian Constitutional Law, Legal History and Water Law.